ESD 112 2019 Classified Employee of the Year: Marie Stalsberg | Clark County Live! 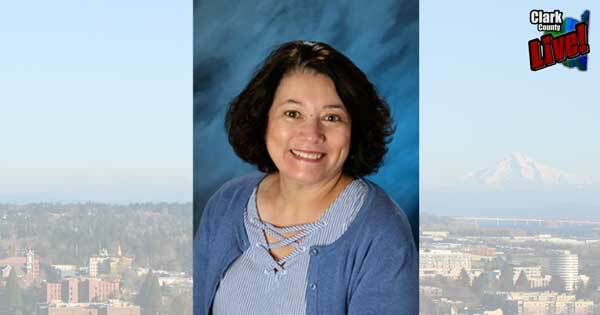 Marie Stalsberg of Evergreen School District has been named ESD 112’s 2019 classified employee of the year. She is coordinator of Thunder Academy, a program at Mountain View High School that works with at-risk students to help them recover credits and graduate on time. In 2014, the graduation rate of these students was 47 percent. In 2018, after a program redesign that Stalsberg helped implement, it rose to 96 percent. “I truly believe that our success with our Thunder Academy and increased graduation rate is directly a result of Marie Stalsberg’s commitment to our students,” says Sheri Walker, associate principal of Mountain View High School.